OnTime users save an average of $2,218 each month compared to their previous software. Get a video walkthrough of OnTime features. A self service web portal for your customers. Integrate OnTime with other software systems using our API. Learn about the apps included with OnTime. OnTime 360 is a professional-grade hosted courier software solution that meets the end-to-end needs of your transportation business. 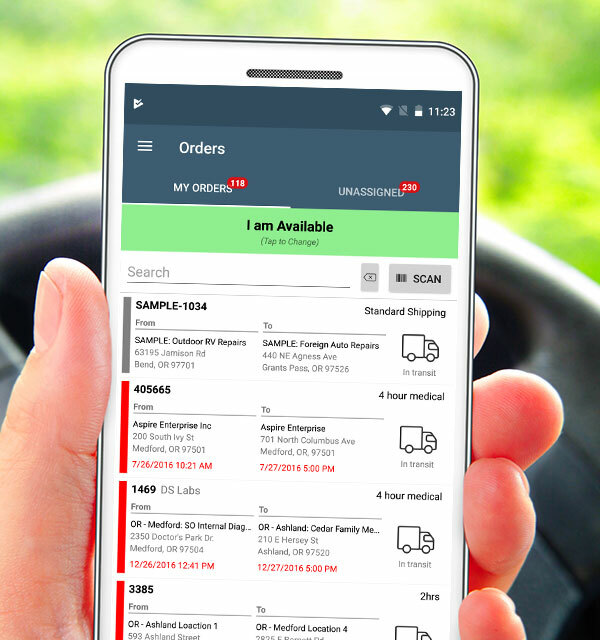 If you are a carrier, freight broker, messenger, courier, or dispatching service, your business can become more effective and save money with OnTime delivery software. Why Choose the OnTime Courier Software Solution? OnTime's cutting edge technology and smart networking architecture set us apart from the competition. 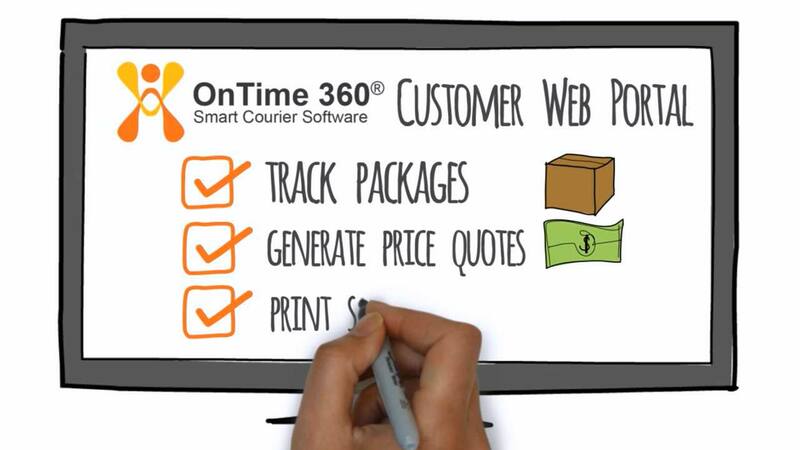 On average you'll find that OnTime offers 3 times the features of competing courier software at 1/14th their cost. With prices starting at only $39 a month for unlimited shipments, OnTime is the smart choice for courier companies of any size. We are so confident in our ability to provide the best value that we offer a 30 day money back guarantee on all courier software. Looking to Upgrade Your Dispatching Software? If you are already using courier management or digital waybill software, we would love to talk with you and compare your current costs with OnTime's. You can use our Savings Calculator to get a quick, personalized estimate regarding your potential savings with OnTime. A survey taken by over 1,000 delivery companies indicates that OnTime can cut a mid-sized courier company's existing delivery management software expenses by an average of 34 times! OnTime Courier Software is where you’ll find powerful, affordable, hosted tools including courier software, dispatching software, digital signature capture, real-time tracking and tracing, messenger software, on-demand delivery software, same day delivery software, turnkey courier software, delivery software, route management, routed delivery, mobile device software, Windows Mobile software, distribution software, freight software, routing software, programs for managing deliveries, on demand delivery software, delivery barcoding, proof of delivery, chain of custody, customer web portal, online ordering, software for trucking, package delivery software, complete courier delivery software and two way communication.